There was a time when I threw myself into SIFF, seeing 50, 60, sometimes over 70 films between the first days of press screenings and the closing night gala (that’s still far short of some passholders who watch over 100 films over the course of the fest). Those days are over for many reasons, not the least of which is that San Francisco Silent Film Festival, which now plays out smack dab in the middle of SIFF and pulls me out of town for nearly a week. This year I expect to see something between 10 and 15 films scheduled between my day job and writing deadlines, and while that means I miss a lot of interesting films, the upside is that I treasure those films I do get to see and I have more time to ruminate over them. Here are thoughts on some of the films I saw the first. No press screenings for me this year. These were all seen with festival audiences. The 44th Annual Seattle International Film Festival opens on Thursday, May 17, with the opening night gala presentation of Goya-winning feature The Bookshop with Emily Mortimer, Patricia Clarkson, and Bill Nighy from Spanish filmmaker Isabel Coixet, and closes 24 days later on Sunday, June 10 with Portland-based filmmaker Gus Van Sant’s Don’t Worry, He Won’t Get Far on Foot. 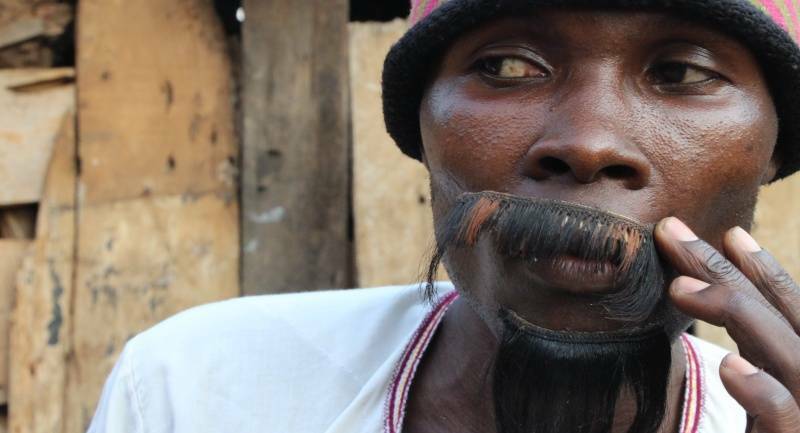 In between there are (at last count) 168 feature films, 66 documentary features, 10 archival films, and 164 short films among the multimedia presentations. All told: 433 films representing 90 countries (as of opening night). 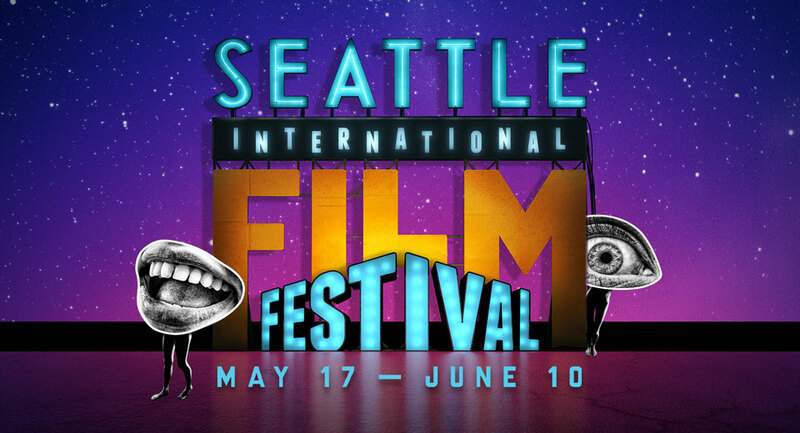 Here is Parallax View’s coverage and guide to SIFF resources from around the web. We will update a few times a week. SIFF 2018: Stop me before I screen again! The 44th Annual Seattle International Film Festival opens on Thursday, May 17, with the opening night gala presentation of Goya-winning feature The Bookshop with Emily Mortimer, Patricia Clarkson, and Bill Nighy from Spanish filmmaker Isabel Coixet. As in previous years, it launches at McCaw Hall and is followed by the opening night party. 24 days later, it closes on a local focus with Don’t Worry, He Won’t Get Far on Foot, adapted from the memoir of Portland cartoonist John Callahan (played in the film by Joaquin Phoenix) and directed by Portland-based filmmaker Gus Van Sant, at the SIFF Cinema Egyptian on Sunday, June 10. In between, 248 features (including 66 documentaries), 164 short films, and 21 VR/360 works from 90 countries are scheduled to screen across 12 venues in Seattle, Bellevue, Kirkland, and Shoreline. (These numbers are subject to change as additional films may be added at the last minute, and in rare cases films may be withdrawn or cancelled). 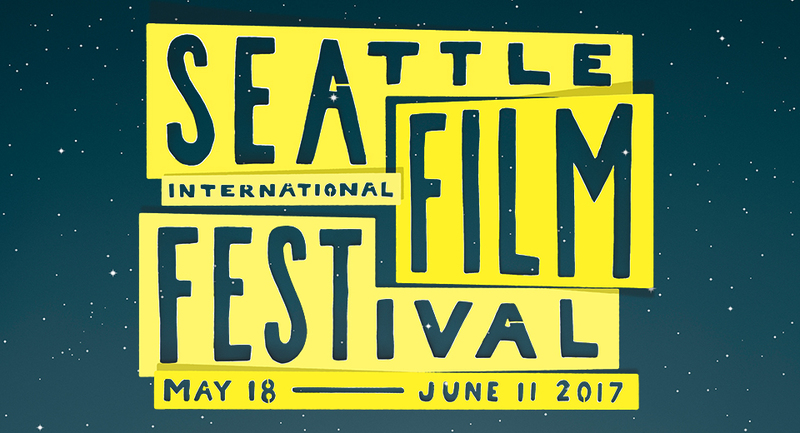 The 43rd Annual Seattle International Film Festival opens on Thursday, May 18, with the opening night gala presentation of The Big Sick, from director Michael Showalter and writer/star Kumail Nanjiani, and closes 24 days later on Sunday, June 11 with the North American premiere of Raoul Peck’s The Young Karl Marx. In between there are (at last count) 161 feature films, 58 documentary features, 14 archival films, and 163 short films. All told: 400 films representing 80 countries (as of opening night). At some point the numbers are overwhelming. This is the 43rd annual Seattle International Film Festival, a marathon that lasts 25 days across 15 venues (Bellevue, Kirkland, and Shoreline included), with around 400 feature-length and short films from 80 countries. There are gobs of panels and festivities and visiting filmmakers. It seems churlish to be a movie lover and complain that SIFF is too big, especially when the city seems to love it so much. It is, undeniably, a vast and glittery party, and every year it brings necessary gems and some lovely out-of-left-field experiences. Still, I can’t help thinking there’s a splendid 10-day festival to be carved out of this unfocused sprawl. The 2nd annual Twist of Pride Film Festival opens at the Egyptian Theatre on Friday, June 17 with a 20th Anniversary screening of the Seattle-produced Crocodile Tears (1996) followed by the World Premiere of Brides to Be. The festival runs through the weekend. Schedule and tickets here. The documentary Raiders! : The Story of the Greatest Fan Film Ever Made, about the making of the legendary shot-for-shot remake of the Steven Spielberg film by a group of schoolkids with a camcorder over the course of seven years, plays through Sunday, June 19 at Northwest Film Forum. SIFF celebrates its Renton Opening Night on Thursday, May 26 with a screening of the comedy My Blind Brother at the IKEA Performing Arts Center, followed by a party at the Renton Pavilion Event Center. Because SIFF isn’t just about the movies. It likes to party too. And on Friday, May 27, SIFF extends its reach to Shoreline for the first time this year and it kicks off with a Shoreline Opening Night screening of The Tenth Man (Argentina), a lighthearted drama of a New York-based Jewish-Argentinian man returning home to Bueno Aires for Purim. Screenings take place at the newly-renovated theater on the Shoreline Community College campus (building 1600; see the Shoreline CC map), which is said to be state-of-the-art. I’ll be verifying this weekend; as a Shoreline resident myself, I’m thrilled to see the festival in my backyard. Campus parking is free for visitors after 4pm on weekdays and all day on weekends. Tiny: The Life of Erin Blackwell, a follow-up to the devastating documentary Streetwise, received its World Premiere at SIFF. More than thirty years after that acclaimed exploration of the culture of homeless teenagers in Seattle, Tiny revisits Erin Blackwell, the poster girl of Streetwise—literally, her stone face behind vintage second-hand fashions was the defining image of the film. Director Martin Bell and photographer Mary Ellen Mark profile Ms. Blackwell as struggling mother with ten children, still fighting to get by. Martin Bell is scheduled to attend screenings. Sunday, May 29, 4pm, Pacific Place; Monday, May 30, 11am, Pacific Place. Chinese filmmaker Xu Haofeng brings the North American premiere of The Final Master (China) for three screenings across the city. Xu co-wrote the award-winning The Grandmaster with director Wong Kar-wai and his action choreography for The Final Master won an award at the Golden Horse Film Festival. Saturday, May 28, 6pm, Uptown; Sunday, May 29, 6:30pm, Shoreline Community College Theater. Also making its North American premiere is Eternal Summer, a road trip crime movie through Northern Sweden. Filmmaker Andreas Ohman is scheduled to attend all screenings this weekend. Friday, May 27, 7pm, Lincoln Square Cinemas; Saturday, May 28, 1:30pm, Pacific Place; Sunday, May 29, 6:30pm, Pacific Place. Truman (Spain/Argentina) arrives with five Goya Awards to its credit, including Best Picture. Director Cesc Gay scheduled to attend screenings at the Egyptian only. Sunday, May 29, 4:30pm, Egyptian; Monday, May 30, 6:30pm, Egyptian; Friday, June 3, 9pm, Shoreline Community College Theater. The 42nd Seattle International Film Festival opens on Thursday, May 19 with a gala screening of Woody Allen’s Café Society, direct from Cannes where it was the opening night event. That would generally be considered a coup for SIFF but the glitz is tarnished thanks to allegations of child abuse by Allen against the children of Mia Farrow. The controversy isn’t new but was effectively swept under the rug by a willing media until Ronan Farrow turned the spotlight back on his biological father and called out the media for letting the accusations slide as the film opened at Cannes. Nicole Brodeur writes about it at The Seattle Times, and I recommend Matt Zoller Seitz’s personal essay on his struggle to grapple with the art of Allen versus the actions of the artists. As for Seattle, neither Allen nor any of the stars will be attending the film. What does any of this have to do with the film? Maybe nothing, maybe everything, depending on how you separate your engagement with popular art from the artists who create it. But by putting the film in the opening night spot, SIFF has made a statement of sorts whether it meant to or not. It was announced weeks before the embers of the controversy were fanned back to life, but those embers were always there, even if we (and I include myself) were willing to conveniently forget about it. The festival really begins on Friday, May 20 as movies play in eight venues radiating out from Seattle Center to Capitol Hill, Ballard, and Bellevue. On Thursday it adds Renton and Friday it leaves Ballard for Shoreline, with Kirkland and Columbia City taking part later. But for now, let’s take a look at some of the highlight in this first week.